Marriage is like a bra. Well, that's an analogy you probably haven't heard before! But it is true! 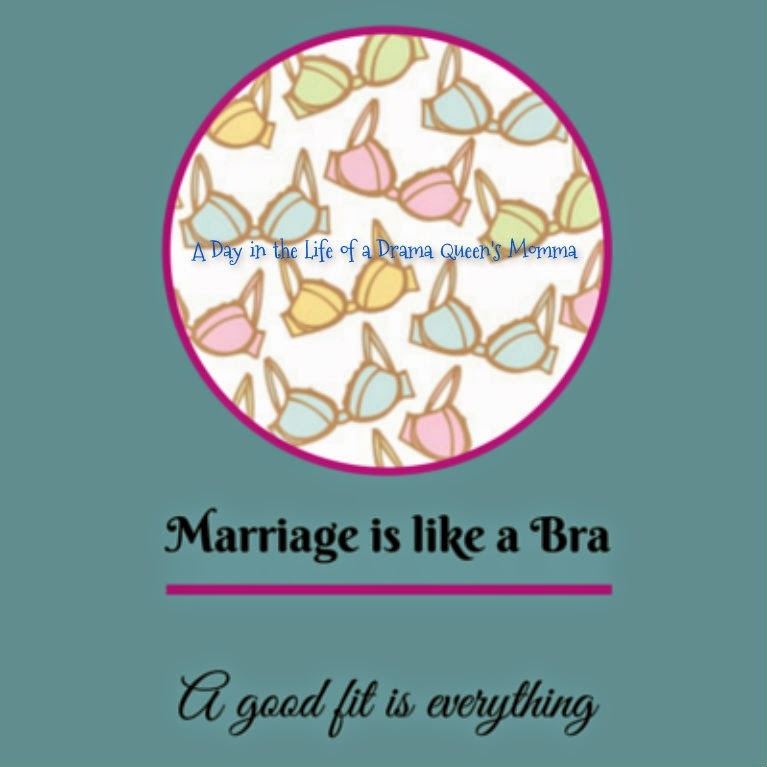 Marriage is like a stretchy well broken-in bra! It takes a strong under-wire and lots of give to keep your marriage afloat. But there is also comfort and support. Don't get me wrong, it isn't perfection. There are going to be times when that pesky wire starts digging into your side. There are going to be times when you really wish you could fling that sucker across the room, too! But, despite the tough times, there are a lot of perks to being in a committed, forever kind of relationship. Comfort. Just like your bra, a marriage can be very comfortable once it is broken in. You can wear yoga pants, or sweat pants, or even NO pants. You probably could even wear the SAME pair of pants for two days in a row. A husband doesn't mind if, occasionally, you are rocking out last nights pants. Especially if he knows he can take them off later. You don't have to shave your legs every day. Or even every week. When you are married, you can be comfortable. You know each other. You have seen each other at both your best and worst times. You can burn dinner. No need to be Martha Stewart 24/7. A husband loves you for more than your (lack of) domestic skills. And if he is a smart husband, he won't even complain! Your feet can stink. Sure, he might make a few smart-mouthed comments about it, or even a weird face, but he won't high tale it to the hills. Instead, he will make fun of you until you wash them. But a good sense of humor is important, right? And he might even rub 'em! Once they are clean, of course. Support. Just like a your bra, marriage has a lot of support when the fit is right. You can vent about your bad day or the fact that you are five seconds from duct taping the kids to the wall. You can even completely lose it on occasion, and he will still stand by you and love you. And chances are, if you have a good (read: smart) husband, he may even try do something to fix it. You always have someone to talk too, even when you are using the bathroom. You never need to feel alone in this world with a man who is willing to battle the fumes to have five minutes of peaceful conversation with you by your side! The bottom line: A husband loves every inch of you. Even sans bra. He doesn't care if your breasts aren't as perky without all that wire and spandex holding them in place. This man loves you IN SPITE OF your flaws. And who could ask for more than that. 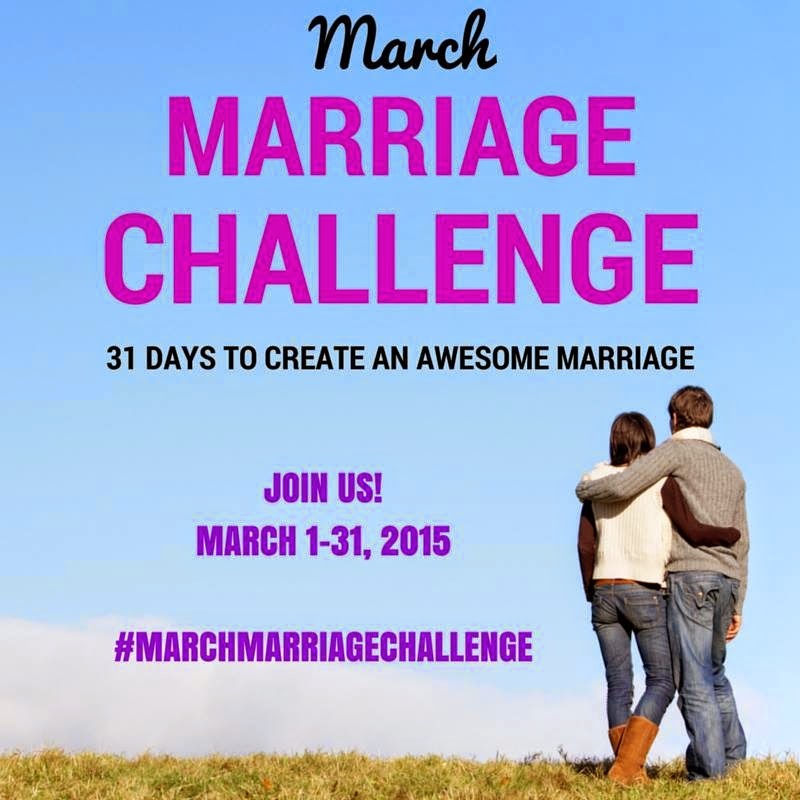 This post was written as part of the March Marriage Challenge, co-hosted by The Eyes of a Boy and Huppie Mama. Check out the rest of the amazing marriage focused posts here.